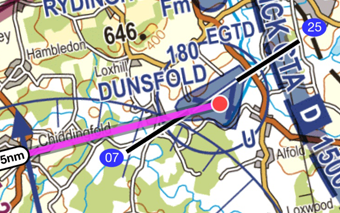 Take the time and hassle out of flight planning with RunwayHD’s comprehensive range of planning features. 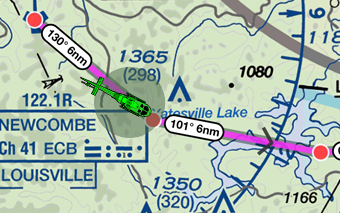 Use the route builder to find your start and end points, then effortlessly drag and drop new waypoints around any airspace. 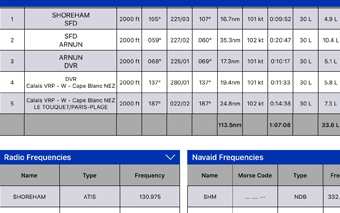 Handy NOTAM and weather overlays quickly show anything in your path and with daily updates you know you’ll be using the latest data. Don’t want to go around? Well go over! 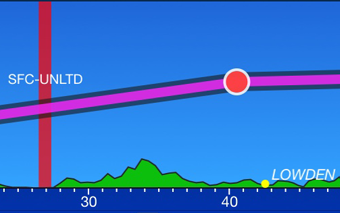 Using the side profile you can see which airspace and NOTAMs can be avoided by simply going higher. When you are happy with your route, run the Route Briefing to calculate a range of flight parameters including: time on route, fuel required, distance and ground speed. This can be saved or printed, but also includes an interactive view for when you get airborne. How much does RunwayHD cost? Clearly defined airspace shown over any map type. Plan on ICAO, Google or Street level mapping. Easily drop and drag waypoints to form your route. Save, load and send to a friend. Daily NOTAM updates ensure you’re aware of what’s going on and can plan your flight accordingly, anywhere in the world. METAR, TAF and winds aloft for the globe ensure you have the latest weather data to plan with. Calculate route times and fuel required. Refer to it in flight or print before you go. Use the side profile to check clearance from high ground and airspace. The benefits of RunwayHD don’t stop at the lounge or club house. 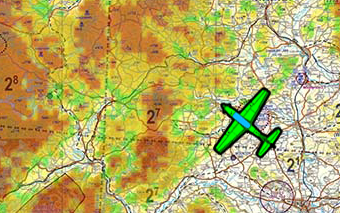 It is a really useful tool in flight, helping to make your flying easier and safer. 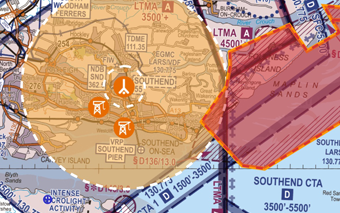 Keep out of trouble with clear airspace warnings, highlighting the airspace on the map and giving you useful information like who to call on the radio and distance to the boundary. The clear five-minute line helps plan where you’ll be heading and the relative position read out makes position reports a doddle. Bring traffic awareness to your flying through one of our partnered devices. 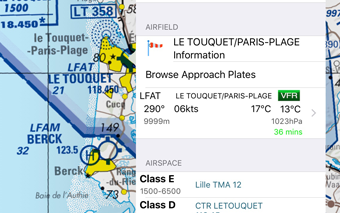 We provide support for both Flarm and PilotAware, giving you a live traffic display over the map. Need to change your plan? 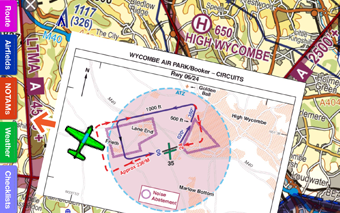 Easily divert to an alternate airfield using the nearest airfields list. 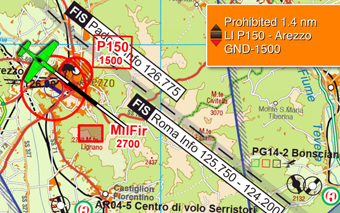 Which clearly shows airfield details and frequencies so you can make your choice and get down safely. Clear visual and audible alerts and warnings for airspace and terrain for your peace of mind. 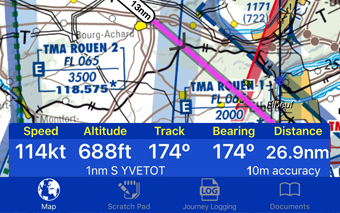 Showing you speed, height, track, ETA and many more parameters of your current flight. Use the standard checklists or add your own to make in-flight checks fast and simple to action. Using the build-in terrain database, shading can be applied to the map to highlight high ground and potential hazards. 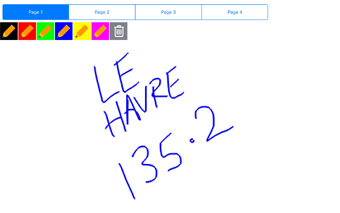 Quickly make notes given by ATC using your finger. Journey logging also allows you to easily record events such as: engine start / stop and take off / landing times. Integrate RunwayHD with Power Flarm or PilotAware for enhanced traffic awareness during your flight. You’ve arrived! Well, almost. The airfield is in sight, but your flight isn’t quite over yet. 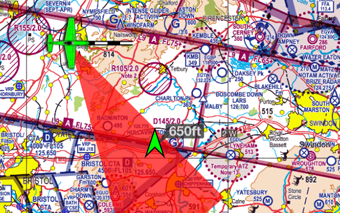 Position for the correct circuit, orientating yourself using the Extended Centrelines option in RunwayHD. 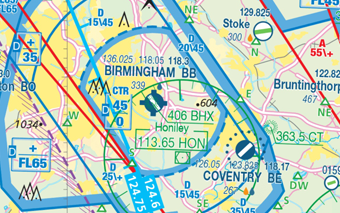 If the airfield has a published circuit, overlay the pattern on the map straight from the Pooleys Flight Guide. 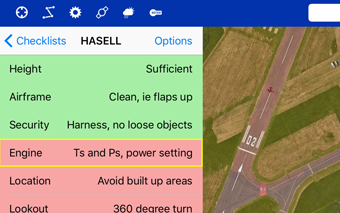 Use the checklists function in RunwayHD to run through the post landing and shut down checks. Simply tap the list as you move through the items, clearly showing where you have got to, so you don’t miss anything. After the flight see where you have been using the logged flights feature – or maybe you want to see where your student has been! Instantly debrief the flight and learn from what happened.